The causes of neck pain are hard to define but one reason could be the pillow you’re using. Body in balance chiropractic doctor Jan Lefkowitz explains that to reduce neck pain“the main idea is to keep your spine parallel and neutral”. A study conducted by Tailor Francis looked at 52 neck pain patients. The patients slept on 4 different types of pillow which were changed at random. Three pillows were orthopedic. After the experiment 40 of the 52 patients reported decreases in neck pain, better sleeping and less headaches . 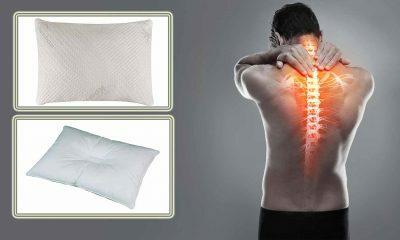 Orthopedic pillows help to keep your spine neutral by providing support to head, neck and overall body. This, in turn, keeps both your head and spine in natural alignment. But for some people they may feel too firm or uncomfortable. Luckily a host of orthopedic pillows come with a 90-day satisfaction or your money back deals. 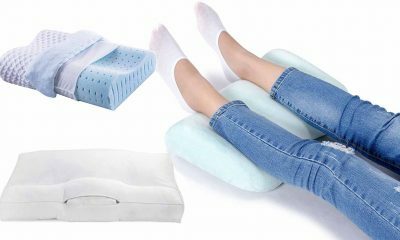 Here are the latest reviews of the 10 best orthopedic pillows to support your joints, back and total body. Snuggle-pedic is a luxury brand which use the cut-offs from their premium foam mattresses to make orthopedic pillows. 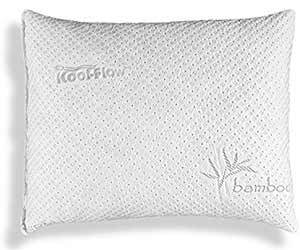 These products use shredded memory foam alongside bamboo to create a supportive, but breathable memory foam pillow.The outer cover is made from a woven bamboo fabric which helps to dissipate heat during the night. It feels soft on your skin and features ‘kool-flow’ micro-vents to help aerate the inner foam. Those inner foam pieces are interlocking which means it holds its shaped and won’t need to be constantly fluffed before use. If you’ve never tried sleeping on a Snuggle-pedic memory foam pillow take them up on their 90 day free trial. Owners are also entitled to a stunning 20 year warranty from this US-based manufacturer. CR sleep have taken pillow design and transformed it into an exact science. 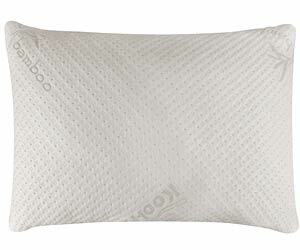 This contoured pillow dips in the center to provide the best possible support to your neck and shoulders. The single-piece memory foam adapts to your shape whilst the gel infusion helps to circulate heat during the night. Using up to the minute scientific research CR sleep have incorporated the optimal firmness for a good night’s sleep. Its shape will put a lot of people off, but those who are willing to give it a go will be surprised by how comfortable it is. Not only that, you’ll notice considerable improvements stiff necks or aching shoulders. A stiff neck doesn’t have to be a part of your life forever. 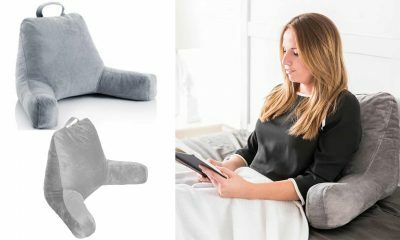 Custom-sleeping have designed an orthopedic, memory-foam pillow to make neck aches a thing of the past. 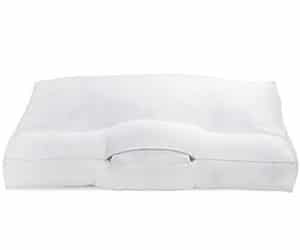 Using shredded, gel-infused memory foam this pillow is contoured to mirror your natural position when lying down. 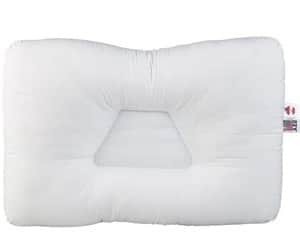 This pillow stands out because of its adjustable neck support (ANS). 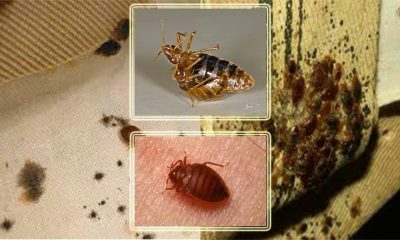 We come in all different shapes and sizes, so it makes sense to own a pillow that can be customized to our specific requirements. The ANS pillow is patented which means you won’t find a design like this one anywhere else. 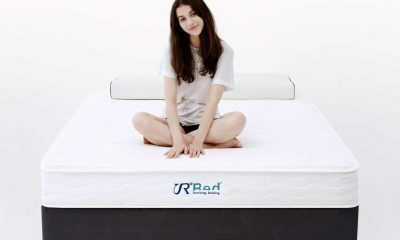 Customers get a choice of firmness and the option of a woven, breathable bamboo cover. There’s a 30-night risk-free trial and a 5-year warranty from the US-based supplier. If you’re happiest sleeping on your stomach, finding the right pillow isn’t easy. 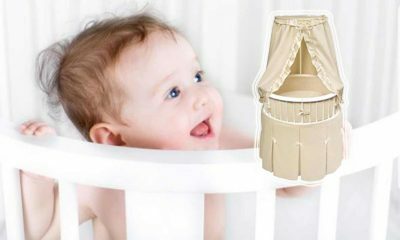 This product has a specially designed low-profile to accommodate stomach sleepers. It uses a contoured design to orthopedically support your neck and head throughout the night. This product was designed by chiropractor and features a handy two-curve design. 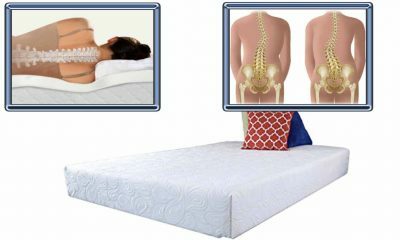 One curve is lower than the other but, should you change your sleeping position, the pillow can be turned around to support the higher-profile position of sleeping on your side. A lot of memory foam pillows are too thick for stomach sleepers. That causes the head to tilt back putting unnecessary pressure on the spine. 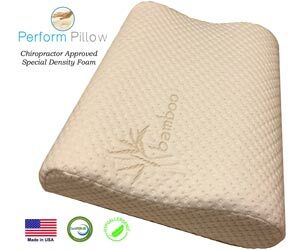 Xtreme Comforts slim profile is just 5” high and uses shredded memory foam to help alleviate pressure on your back.This pillow is topped off with a specially, micro-ventilated bamboo cover that encourages uninterrupted sleeps. When this product first hit the market it was too expensive, but the current version can be purchased for a third of the original retail price. This pillow is premium quality throughout. It’s made with minimal chemicals, fire-retardants or toxins and has no noticeable smell out of the box. For stomach sleepers, this low-profile orthopedic pillow is a must-have. You know a product has been well-thought out when it doesn’t look like anything else on the market. 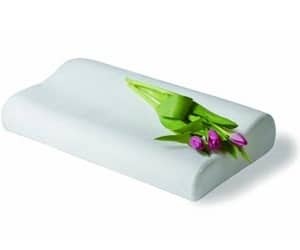 This trapezoid shaped pillow from Core Products is specially designed to provide orthopedic support regardless of your sleeping position.Faced upright, this pillow has two neck supports on the upper and lower sides. 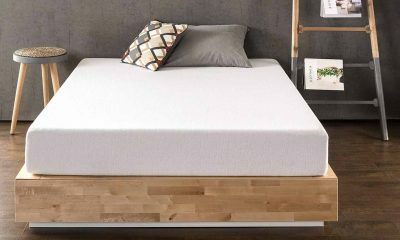 When your sleeping on your side you’ll use the higher-profile top. If you prefer sleeping on your stomach, you can flip the pillow to take advantage of the lower-profile rounded neck support. There’s three individual sizes to choose from and you can decide between firm or soft depending on your personal preference. These pillows are unique in that they use a springy fiber which is breathable and supportive. With a 90-day customer satisfaction guarantee investing in a tri-core is a no-brainer. 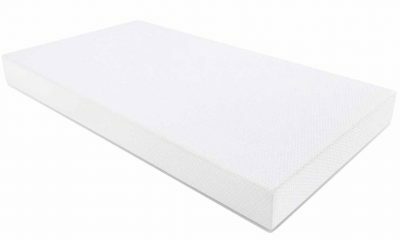 This product from mattress manufacturer Tampor uses a tried and tested 2-wave design. The upper wave features a larger profile for side and back sleepers whilst the lower profile side is for stomach sleepers. 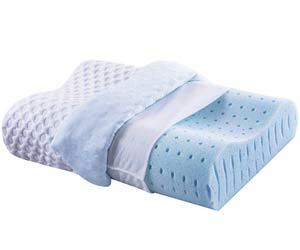 Constructed from a single-piece of memory foam this pillow provides orthopedic support during the night. The outer casing is made from a breathable woven Oetko-tex fabric that helps to keep you cool during the night by circulating air-flow. The product is available in a variety of sizes including V-shaped, low-profile, standard contour as well as a gel version.Situated in the middle of the budget we were impressed by the levels of comfort on offer. That’s largely due to the thick slab of memory foam alongside a dual-sided profile. People who sleep hotter, should definitely opt for the gel-based version. Unlike most of its competitors this pillow opts for the trapezoid design. 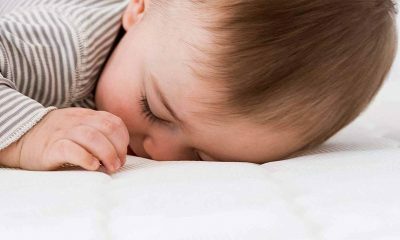 The hypoallergenic pillow is made using only natural materials, so you won’t have to worry about breathing chemicals or toxins. We liked that you can invest in a fully-adjustable version to get your thickness just right. 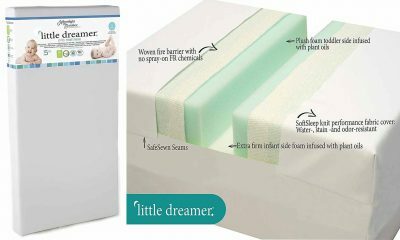 If you’re looking for a soft or fluffy pillow this product isn’t for you. The texture is surprisingly firm which does take some getting used to. Thankfully, Nature’s guest do offer a 90 day customer satisfaction period so, if it’s too firm after 90 days you can get a full-refund. 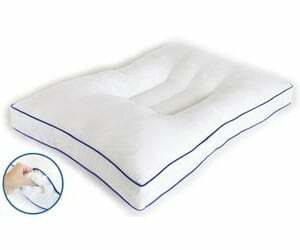 The firmness of this pillow is intimately linked to its orthopedic support. The raised sides support the neck and shoulders, reducing unwelcome morning aches and pains. More expensive than most products listed here, we felt the natural materials more than made up for the added price. We had to admit, we felt dubious when we first heard of an ergonomic pillow. This pillow is pretty unique. The heart-shaped design has a dipped platform for your head with an outward support for your neck.The memory foam is enhanced with aloe vera which is not only beneficial to the skin but helps to eliminate odors. The foam itself is known as slow rebound foam which means it keeps its shape contoured to your head even after you lift it from the pillow. 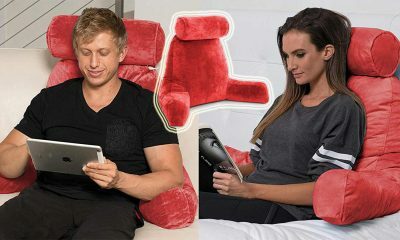 Not restricted solely as a head-pillow the Easylife 185 is designed to double up as a sleeping support. If you suffer from chronic lumbar ache placing the pillow under your legs whilst sleeping on your back will have a positive effect. The Easylife 185 is an innovative product that isn’t similar to anything else on offer at the moment. For that reason it takes a deserved place on our list of the ten best orthopedic pillows. Clara Clark are a bespoke, bedroom designer that feature regularly in Sears among others. This hypoallergenic pillow uses a honey-comb design to ensure maximum air-flow and coolness during the night. Originally retailing at other $100 you can pick one of these up exceptionally cheap in today’s market. This product uses a 2-wave design. The surface texture is medium firm whilst the honeycombing makes for a cool sleeper. The outer casing is a bamboo fabric featuring micro-ventilation. 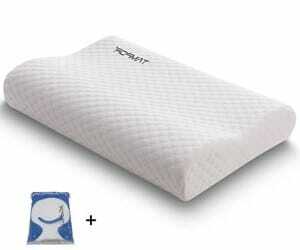 Clara Clark have balanced the firm support of memory foam with air-flow of a regular pillow surprisingly well. These pillows are fairly small by industry standards. They’ll fit easily in a suit-case for business trips but may be too small for some people. Given the original pricing, quality design and support we felt this was one of the best pillows on the market. Shopping for an orthopedic pillow isn’t easy. Every-one has different shapes, firmness and size. To make things easy for you we’ve put together a list of some of the things to look out for. We don’t sleep in the same position every-night. Sometimes we’ll change position during the night. For that reason, it’s always good to look for a dual-profile pillow. These have a hi-profile neck support and a low-profile neck support for stomach and side-sleepers. Being able to remove inner layers to get your pillow just the right shape is important. Not all products offer adjustable thickness. 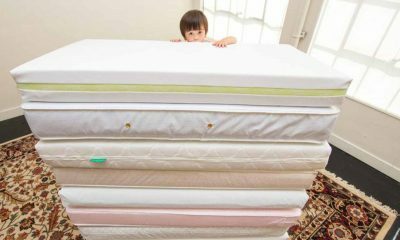 But, if you’re a fussy person when it comes to pillows, adjustability is a must. When it comes to memory foam pillows some people love it, others hate it. If you’ve never slept on a memory foam pillow we’d recommend trying it first. This materials offers excellent support but sometimes is too firm. The other issue with memory foam is that it sleeps very hot. 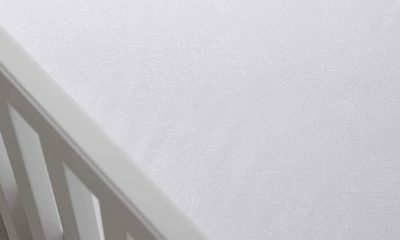 If you like to keep cool during the night opt for a honeycomb, gel-based or ventilated memory foam that will help air circulate. When it comes to memory foam pillows some people love it, others hate it. If you’ve never slept on a memory foam pillow we’d recommend trying it first. This materials offers excellent support but sometimes is too firm. The other issue with memory foam is that it sleeps very hot. 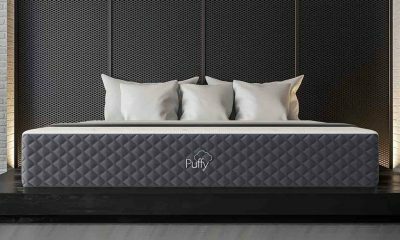 If you like to keep cool during the night opt for a honeycomb, gel-based or ventilated memory foam that will help air circulate. The 2-wave design is popular in contoured pillows. It has one wave with a low-profile and the 2nd wave with a higher profile. This means you can swap the pillow round to suit your sleeping style. The rounded neck support helps to keep your spine in alignment whilst the indent provides a resting place for your head. Trapezoid styles forego memory foam in favor of polyester or cotton. These are plusher with good aeration and a softer feel. 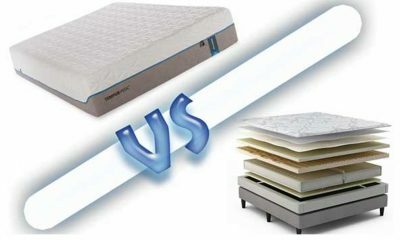 Similar to the 2-wave they feature a lower and a higher profile for your sleeping style. 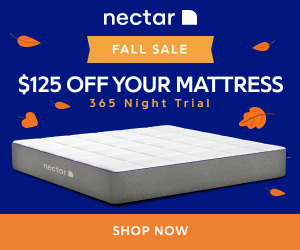 If you sleep hot, it’s better to opt for a trapezoid design without memory foam. The most modern of the three. Adjustable neck support lets you pull out a ‘trapdoor’ style section to match your neck size. 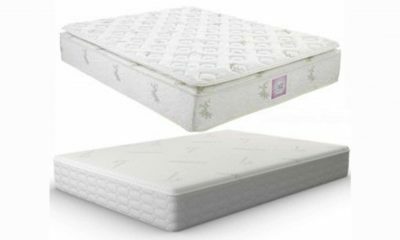 These are the most versatile of the three and come in either memory foam or fiber materials. The cover is vital as it sits closest to your skin. 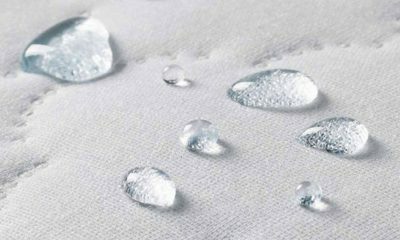 Breathable fabrics are you best bet to avoid feeling stuffy during the night. Bamboo fabric is common as well as woven fabrics with micro-ventilation. 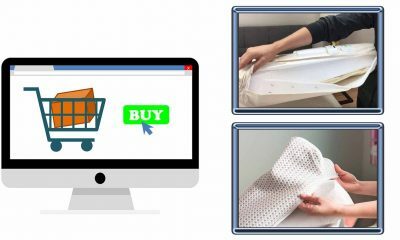 Some products have a removable cover which is machine washable for added practicality. What Type Of Pillow Should I Buy? The type of pillow you need depends on you. 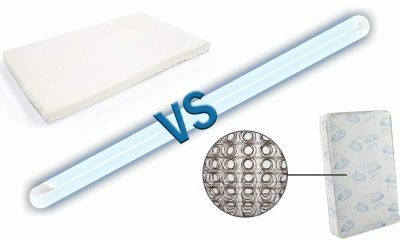 The first question to ask is: why am I buying a memory foam pillow? If you’re suffering from neck ache you’ll want a pillow with orthopedic qualities. Like-wise if you have trouble sleeping then you’ll want something soft and comfortable. The final question to ask is: how do I sleep? Knowing what position you sleep in, will be a key factor in finding the right pillow. Broadly speaking, people sleep in 3 main positions. Side, back or stomach. If you change position a lot you’ll need a pillow with multiple sides and profiles that is easy to flip. 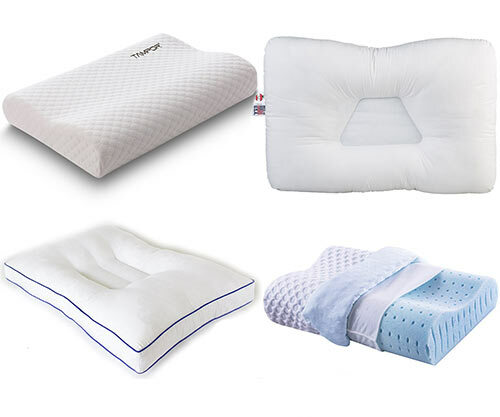 Here’s a quick breakdown of the types of pillow and their suitability. All the products on our list are orthopedically designed to help reduce neck pain. They feature a raised neck support which mirrors the shape of your body. If you sleep on your stomach or back you’ll want something low profile to prevent your head jutting backwards and putting pressure on your neck. Side-sleepers need a higher profile neck support because their shoulders will keep their neck further from the pillow. The curved waves might feel strange at first, but they play a vital role in assisting your neck muscles thereby reducing neck pain. Side-sleeping is the best position to provide support for your neck and back. Curling your legs towards your chest will help the spine maintain its natural curvature. The problem with side-sleeping is that your neck tends to dip out of alignment; especially if you’re using a soft, sink-in pillow. The idea is to keep your neck in as close to the same angle of your spine as possible. 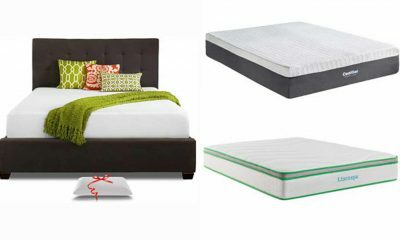 Memory foam is the best bet provided you sleep cool during the night. A firm supportive pillow which doesn’t sink in will work wonders for your back and neck ache.